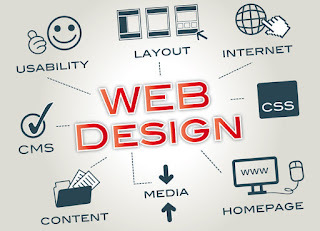 Ayojide.com Get Smart Solutions: Do You Need To Create A Website ? Do You Need To Create A Website ? People always want to follow the latest thing, be it in fashion, sports, that kind of thing. Websites have become a necessity to almost everyone. Companies, businesses, individuals, even young adults have created personal websites with their respective purposes, be it for profit, or for entertainment. What one must consider, however, before creating a website, are the factors in which must be put to thought before doing so, such as the cost, maintenance, use, web host and so forth. Firstly, associating with the cost, we must always try to find an affordable host, not spending too much, nor too little. A cheap host does not exactly symbolize a credible reliability rating, but we must always look for value for money deals. Also, regarding the efficiency and server/web host reliability, there are many cases of web hosts not providing the service they had assured other people, some had even shut down and were nowhere to be seen. Keep this note in mind, as if you would like a long-lasting website, this would be the first thing to look for. Next, would hiring a professional be affordable? Is it the best option? For simple websites, we could always pick up the coding, or even use programs, as it is relatively simple. However, when it comes to more complex coding, and when you want it to do a tad more than just providing information, hiring help in doing so would be the best way. Not only in terms of design, but security is also a key factor in assuring a quality website. If the website also acts as a portal for businesses, security would definitely be the issue here. So, having considered the things to do before building a website, do we actually NEED one? go ahead and do what’s best. Yet again, planning is the key to success, in everything we do.